Anita Cheung explores what it means to be a woman of colour, through photography and conversation with other women. 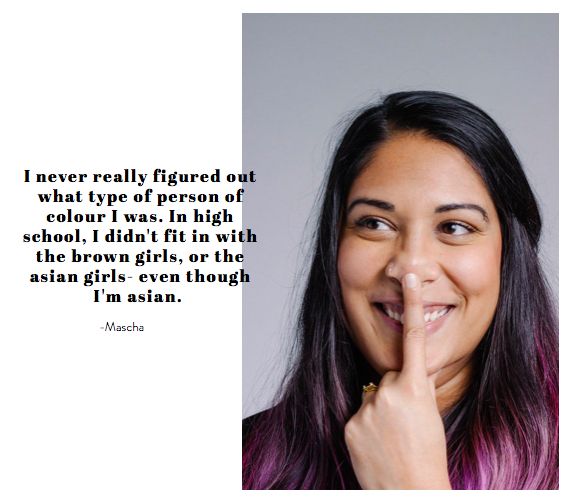 As a WOC, inevitably there comes a time when asked : "where are you from?" The person of colour responds with where they spent majority of their life, then they are asked again "where are you really from? ", somehow needing to deeper clarify, because of their ethnic appearance. If you are a white person, think about this ... have you ever been asked this? The 'really from' part of it all ... most likely not. It is important work to recognize where are privileges fall day to day, and to sit within compassion and understanding. We are honoured to feature this piece by Anita (link at end to direct piece on her website), and thank her for allowing us to ask her some questions and hear what creating this means to her, and to all the women involved. "I am a yoga and meditation teacher by trade, who moonlights as a creative working with digital design and photography. In the last year, I’ve “come out” of the closet with my creative passions as a way to communicate all of the swirling ideas in my mind. As the co-founder of MOMENT Meditation (and now, founder of In Bed With Betty), the sense of completion with a photography project is a welcome contrast to the wild emotional ride of entrepreneurship. Where Are You Really From is my second project to date. (The first one being #GLITTERGURLZ) and was created, quite honestly, because I was feeling a lot of feelings around being a woman of colour. People will often comment that living in Vancouver and being East-Asian is- in the grand scheme of race talks- not too bad. I grew up naively thinking that racial issues was something that happened in the States many years ago and wasn’t a reality in my life. Fast forward to the last few years where several incidences made me uncomfortably aware of my ethnicity and a whole new darker, twisted, reality of racism, internalized racism, privilege and prejudice unveiled itself to me. 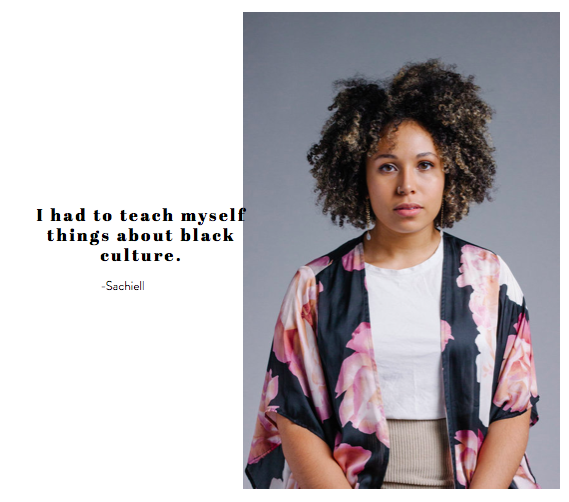 I was curious if other people of colour, and other women of colour felt the same way and wanted to explore those conversations via this project." "I didn’t really know what to expect from this project! I knew I wanted to take pictures of women of colour because we could always use a little more representation, and I knew I wanted to have conversations with everyone. I wasn’t sure if I was going to come out of it with no cohesiveness in the stories, or if all of the women were going to say essentially the same thing. In a sense, the project was shaped by the women involved as it was their answers that guided me to present Where Are You Really From in the format that it is in." "Being around other women is absolutely crucial for me. I recently went on a three week trip with my partner (who is male) and while I love him to pieces, I really missed my girlfriends and my sister- all women who have and continue to play a big role in my personal life. I am constantly inspired by other female creative and entrepreneurs and I find that it is always my female friends who are the first to come out and support whatever crazy idea I’ve cooked up / try something new with me. Additionally, I am fortunate to have a network of women of colour in my lives- both personally and professionally (thanks to WOC Talks), with whom I can talk about anything and feel at home- especially in the last few years." "I am a firm believer that it is critical to share stories. That’s how our ancestors learned and passed on information, and in today’s age of Google & Wikipedia, stories are the thread upon which humanity is woven from person to person. For too long, stories from people of colour have been absent and unavailable due to an old fashioned, patriarchal media system. Thanks to social media, we ARE the media these days; which means we can shape the conversations and narratives that are presented. No longer do people of colour have to be erased or tokenized- which is a really exciting time to be in. Personally, I’m passionate about representation because I think that you can’t be, what you can’t see. I think of the Anita from 20 years ago and how she wished she was blonde and white like Michelle Tanner, and my heart breaks a little inside. So much of what I do is motivated by a hope to inspire the next generation of women of colour." What are you most proud of (in regards to ‘Where Are You Really From?’) ? "Just that it’s done and out there! It was definitely a labour of love that took a few months from concept to execution, and from editing to the final product. I’m just happy that it’s out in the world." What is it you hope people take away / learn from this project? "For white folks, I’m hoping it can spark some curiosity, some compassion, and help shed some raw insight into what it’s like walking around through the world in a different skin suit. For other women and people of colour, no matter where they are in the world- I hope that they feel a little less alone and a little more connected."